Home > Peter Harrington > The General Theory of Employment Interest and Money. 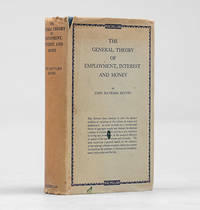 The General Theory of Employment Interest and Money. London: Macmillan and Co, Limited,, 1936. Octavo. Original dark green cloth, titles to spine gilt, double rules to spine gilt and to boards in blind. With the dust jacket. 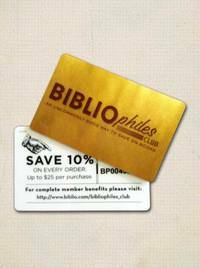 Contemporary ownership inscription and bookseller's stamp to front free endpaper. Spine gently rolled, corners of front boards slightly bumped, edges of text block and endleaves a little spotted, light partial tanning to free endpapers. An excellent copy in a mildly chipped, toned and spotted price-clipped jacket with mild toning and spotting, a few small chips and two tiny ink stains to front panel. First edition, first impression. Written in the aftermath of the great depression, Keynes's masterwork is generally regarded as probably the most influential social science treatise of the century; it quickly and permanently changed the way the world looked at the economy and the role of government in society. Title: The General Theory of Employment Interest and Money.